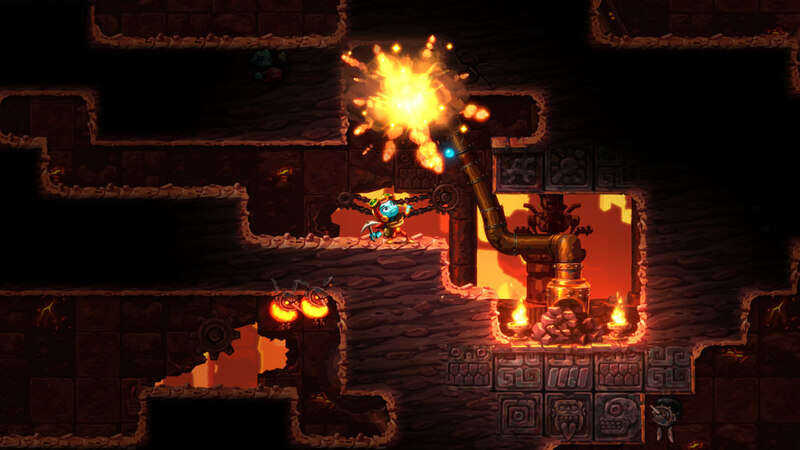 The original SteamWorld Dig has always felt out of place on the indie scene — a game thats history almost embodies the gameplay found within it. 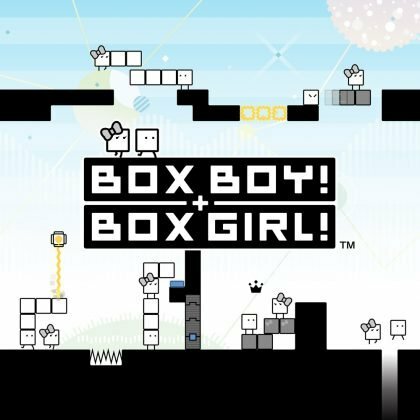 From humble beginnings, the title started as a Nintendo 3DS eShop exclusive, with no clear motivation to move into a larger platform. Yet, after months-and-months of heaped praise from critics, the game put developer Image & Form on the map, with the game eventually making its way across all handheld consoles, home consoles, and PC before the end of the generation. After a (literally) stellar spin off title, Image & Form has returned to their bread and butter with SteamWorld Dig 2: digging Metroid-vania mash-ups. And while fans of the original may look back at the game with rose-tinted glasses, SteamWorld Dig 2 is without a doubt far better than you ever remembered the original. Thanks to the new hand-crafted locations, beautiful backgrounds, and fine-tuned animation, Image & Form’s instant-classic shouldn’t be missed by indie fans. 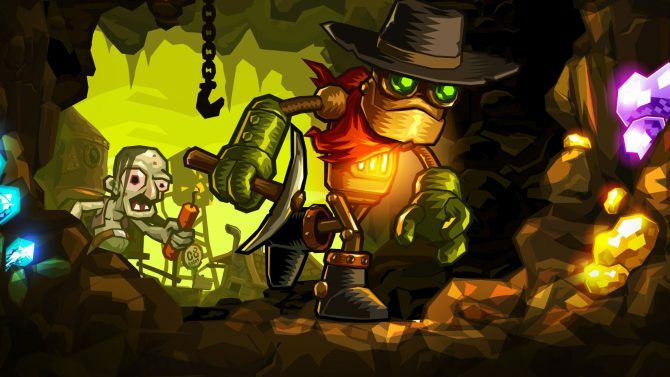 SteamWorld Dig 2?s story takes place immediately after the story of the original — the first game’s neckerchief-ed protagonist, Rusty, has gone missing after a cave-in and secondary character Dot takes the limelight. Her mission: to find out what happened to Rusty, why a mysterious cult has obsessed themselves with him, and how it is connected to earthquakes that appear to be rocking the foundation of the new town, El Machino. 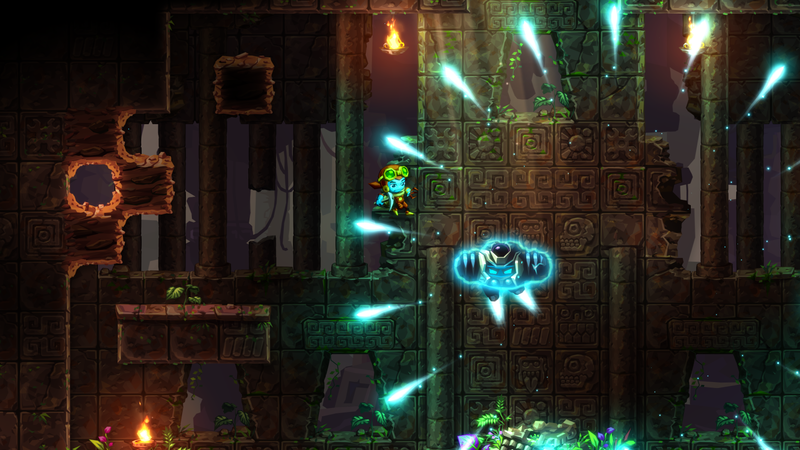 While the original title wore its relatively-thin narrative on the loose side, SteamWorld Dig 2 has far more story beats, dialogue, and even a surprise ending. Fans of the series (including Heist) will note a few cameos and jokes made throughout the game, adding some extra fun for fans. 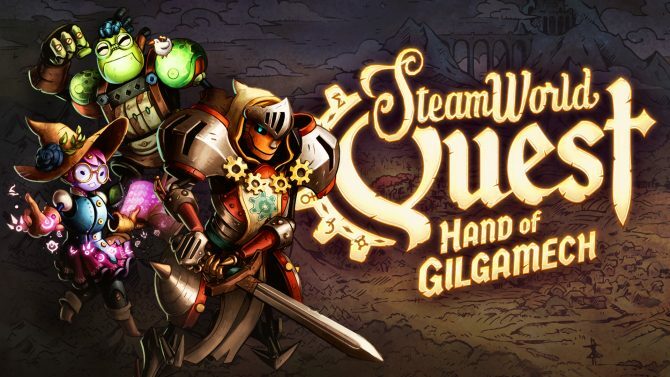 With that said, it’s worth noting that SteamWorld Dig 2‘s story is very easily the driest component of the title — mostly acting as motivation to set waypoints and expand the map. But I hardly cared about the passable story when expanding the map was so much fun! 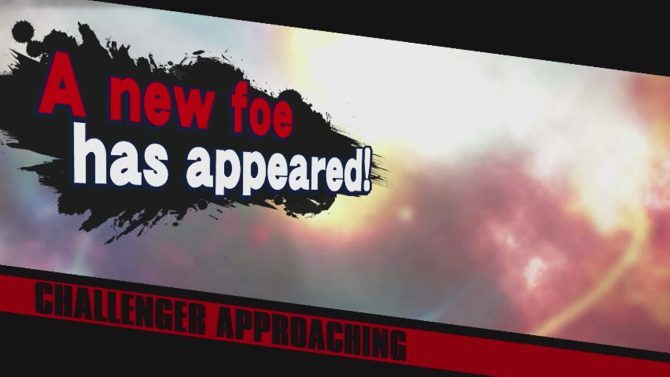 The main mechanic of the game involves using your trusty pick-axe to mine ore, create tunnels, collect minerals, return to the surface, cash in, rinse, and repeat. 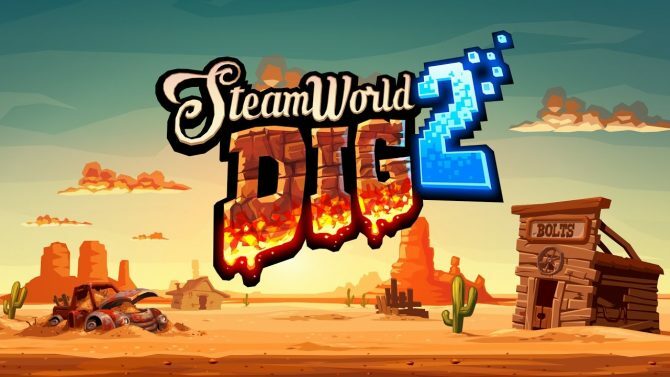 A mix between obsessive and cathartic, SteamWorld Dig 2 will keep players trapped somewhere in a zen-like focus and in a gameplay loop of digging and cashing in. While I balanced my time between this and Metroid: Samus Returns, I would frequently repeat to myself “Let me dig to one more cave…,” only to repeat that phrase ten more times. 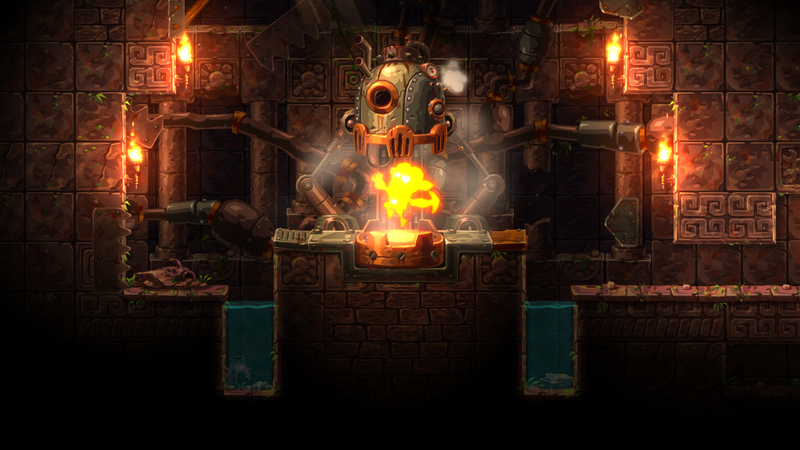 Unlike the procedurally-generated world found in the original, SteamWorld Dig 2 has been entirely hand-crafted — meaning everyone will have the same, stunning underground locales to explore. The change was almost-entirely positive; compared to SteamWorld Dig, the sequel feels more masterfully built, with a clear added structure to the world layout and placement of items. The only downside is you lose the appeal of post-game playthroughs with different layouts. Given the option, I would take the new approach any day. While treasure and digging are the main focus of gameplay, it would all mean nothing without the right reward to justify the motivation to hit rock bottom. For mining all the ore you can find, you are rewarded with gold which can be spent on upgrades for the different abilities you have (or discover under the world’s surface). While the incremental upgrades will provide standard power ups (for instance, increasing your bag size or how long your lantern will last before having to return to the surface), they also include ability modifiers that really elevate the gameplay experience. Compared to the incremental level boosts, modifiers instead add abilities — provided you have the currency to apply them. If you find yourself tired of returning to the surface to keep refilling your oil lantern, one modifier will keep it shining bright no matter how long you are in the tunnels. Another will make projectiles ricochet off of you, or simply allow you to extract more moolah from the ore you are picking away at. With roughly 30-40 different ways to alter your gameplay, I found myself constantly micromanaging which modifiers I had selected, changing my technique with each addition, and looking for the hidden Cogs to unlock more. The latter currency — Cogs — are acquired a number of ways in the game. While ore is instantly recognizable on the map, Cogs may be located in secret areas or as rewards for navigating one-off, puzzle-filled caves. Also, for those with extra cash to drop, you can simply grab some in the store for increasingly-ridiculous prices. 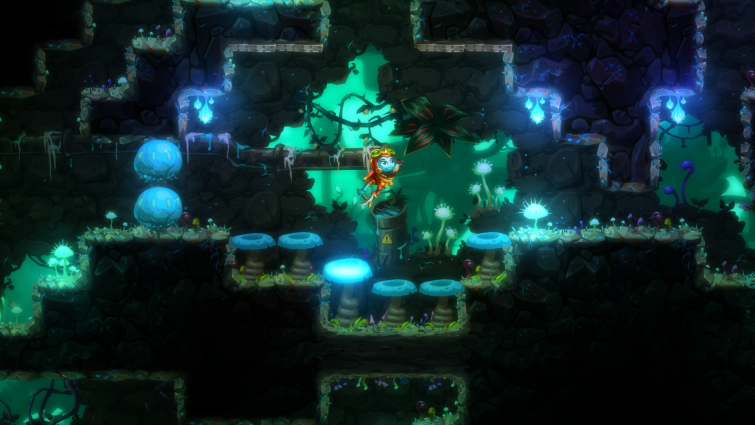 One more collectible graces the undergrounds of SteamWorld Dig 2 — and collecting all of them unlocks the post-game content. 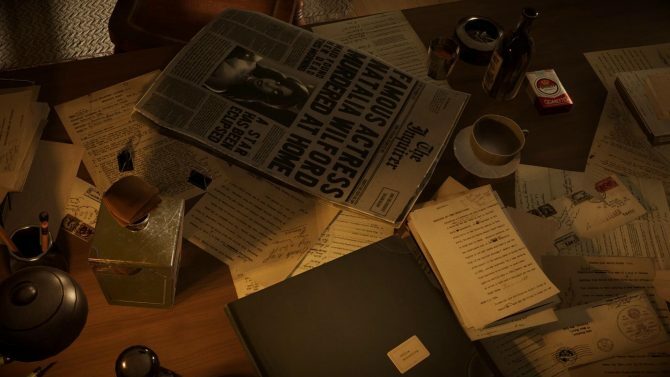 At the time of writing, it appears no one has managed to acquire all of them yet, so that post-game content is still undiscovered. And in that lies my largest complaint: replayability. SteamWorld Dig 2 made headlines this week when critics noted it took only four hours to beat the game’s campaign. That said, if you are playing the game to speed-run it or go from waypoint to waypoint without exploring, collecting, or building up Dot, you are missing the forest for the trees. At my heightened pace for review, I cleared the game in no less than 12 hours with a whopping 71% of collectibles gathered. With that said, the ending and post-game leaves you wanting. 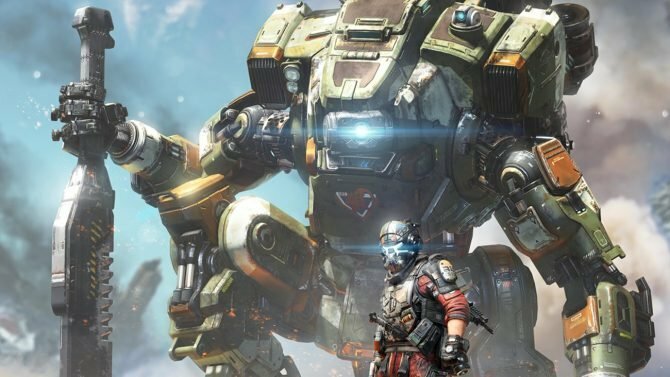 Sure, there is a post-game surprise for those dedicated enough to collect all the collectibles (and returning to the game post-credits will bring you to before the last boss fight). 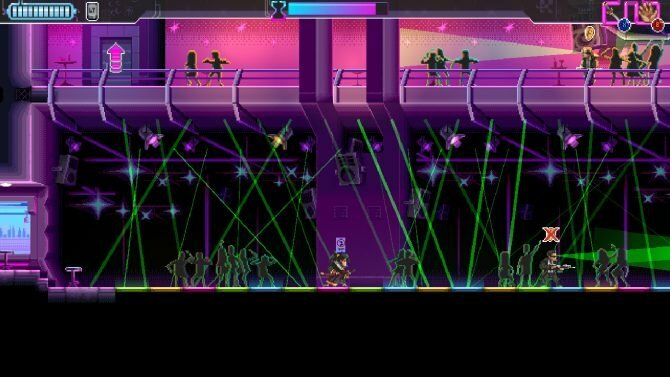 But the lack of a New Game Plus mode, level creator, or even a leaderboard (like, for instance, Ori and the Blind Forest) felt like the game was locking up the fun for the 5% of purchasers who will see the game out to the end. Meanwhile, some of the difficulty-related modifications (doubling enemy damage and stuff like that) seem like less-enjoyable options without being able to return to the world with all the power-ups from your first foray. 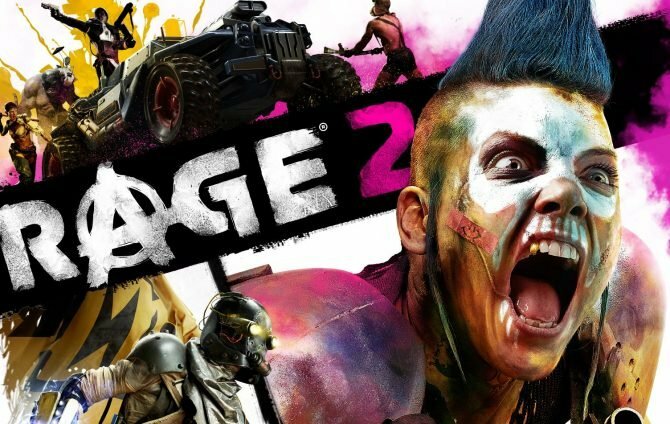 But for a $20 title, it is hard to feel too jilted for lack of content; the fact that I am craving more speaks more to the pros of the game than anything else. Last but not least, I would be hard-pressed not to give a shout out to the Nintendo Switch version of SteamWorld Dig 2, which the title first released on. With no extra additions added to the PC or PlayStation 4/PlayStation Vita version, it seems like Nintendo Switch is the definitive version of the title. I preferred the game best in handheld mode — thanks to the addictive gameplay that lends to those on the go. 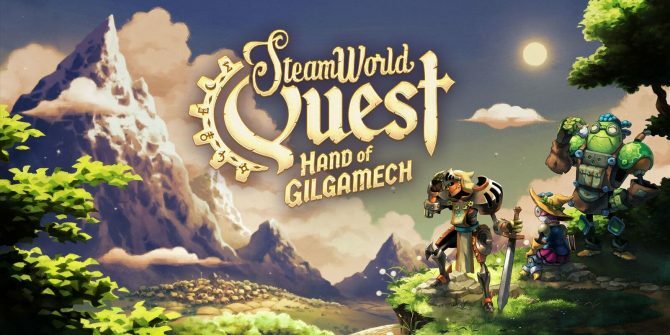 While I have no doubt the PlayStation Vita version will feel excellent as well, the large screen size of Nintendo Switch will keep SteamWorld Dig 2 a permanent member of my Switch catalog.